Field Hospital and Emergency Management Equipment. Brenner is a family owned business, serving our Warfighters and Emergency Response Teams for over 60 years. 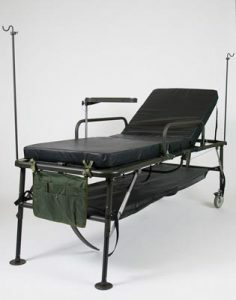 field hospital equipment & emergency management products for various service organizations. All Brenner Metal Products are manufactured in the U.S.A.
Brenner Metal Products are located throughout the United States and with our Allied Partners Internationally. Recovery Bed for extended patient care developed in 2015 at the request of US ARMY MEDICAL MATERIAL AGENCY for DOD. Brenner is the sole source provider and has shipped over 1,000 beds to the US and Australian Military Forces.